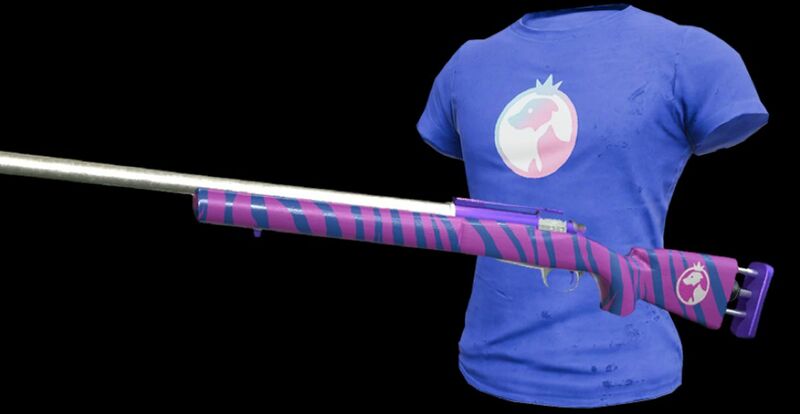 If one of the community members from the open qualifiers ends up winning, he or she will have a chance to create some custom PlayerUnknown's Battlegrounds gear as well. The announcement of Twitch's partnership with Doritos for a Call of Duty: Black Ops 4 battle royale competition isn't the only big news for the platform today. PlayerUnknown's Battlegrounds is about to be the recipient of over 200 custom streamer skins in celebration of the second season of Broadcaster Royale: Omen Challenge, which opens up its registration today. The format for the challenge changes in this second season, requiring teams to withstand a gauntlet of challenges that will force PUBG players to abandon conservative strategies. Teams that earn the most points in each region will go the finals, which will be held at TwitchCon 2018. The winners of the finals, even if they're community members from the open qualifies, will receive the opportunity to have their own PUBG in-game items to sell. The press release for this reveal states that the 200-plus purchaseable streamer-themed in-game items and skins marks the first player-customized skins collection of this scale. Twitch Prime members will be able to claim up to 10 of the items for free before having to spend for additional items if they want them. The custom skins will be purchaseable on twitch.tv/PUBG via a Twitch Extension on participating channels or via Steam. Open registration for Broadcaster Royale: Omen Challenge closes on September 25, 2018, at 11:59 PM PT or when slots are filled, so act quickly. Stay tuned to Shacknews for additional updates.